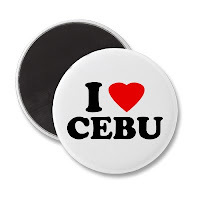 I've been hearing good things about Cebu especially from friends who hailed from the said city, dubbing it as the "Queen City of the South." I also heard from a Japanese friend that in Japan, Cebu is known as a place gifted with stunning beaches comparable to world's famous like Caribbean and Hawaii. Sad to say, I haven't been there yet. I've been dying to really step foot on one of the Philippines historical and important city, that is Cebu. But I guess fate and yeah, resources, add to the list my fear of not knowing a single soul 10 years before, hindered me in paying it a visit. But those worries were now things of the past as I am looking forward to see the city in the coming months. Thanks to a friend who invited us on her big day. At least it won't be a dream no more - come the time of the season when beach is the perfect place to relax and unwind. The itinerary has also been planed. I just wish she'll take us to the fantasy land lol.